Compared with other racial and ethnic groups, African American men have higher risks of developing prostate cancer, developing it at a younger age, and having a more aggressive form of the disease. What causes this disparity, and how can it be reduced? Those questions are at the heart of the work of the Comprehensive Center of Excellence in Health Disparities of the University of Pennsylvania, Thomas Jefferson University, Johns Hopkins University, and the Dana-Farber Cancer Institute, where researchers are working to identify the factors at play in African Americans’ higher risk and poorer outcomes for prostate cancer. The Center, funded by NIMHD, is studying a range of factors that could affect prostate cancer outcomes, such as an individual’s access to health care; their environment, including where they live; whether they are obese; and their genetic makeup. One study from the Center found that there are differences between African American and White men in the biomarkers that predict how aggressive a prostate tumor may become. 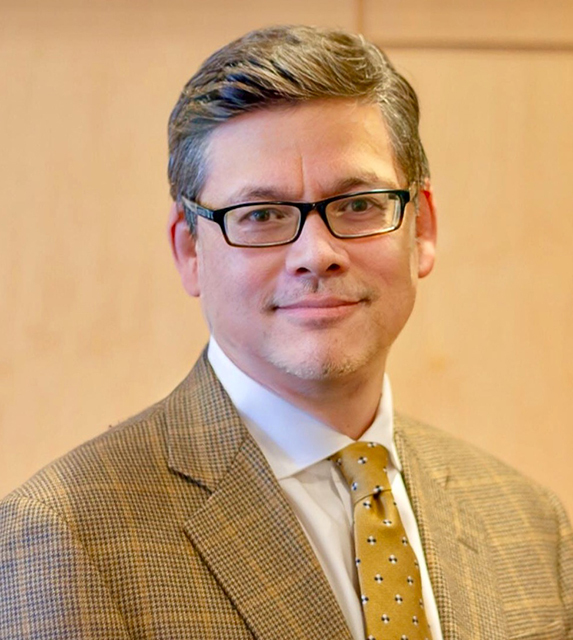 Timothy Rebbeck, Ph.D., at the Dana-Farber Cancer Institute, was one of the authors of the study, “Novel Biomarker Signature That May Predict Aggressive Disease in African American Men with Prostate Cancer,” which appeared in the Journal of Clinical Oncology. The Center will use its findings to better tailor treatments for men who may have a more aggressive form of the cancer. The question of treatment is important, because treatments can have complications and side effects. Research has already identified 20 genes associated with the severity and progression of prostate cancer in populations of mostly White men. Because there are differences in the aggressiveness of prostate cancer between African American and White men, the researchers asked whether there are differences in the genetic biomarkers of the two groups’ tumors that would predict an aggressive cancer. The researchers conducted their own study of 397 men (154 who were African American and 243 who were White) who had been treated for prostate cancer. All of the men had undergone surgery to remove the prostate gland and some of the surrounding tissue as a treatment for the cancer. They had received treatment at one of four institutions: Thomas Jefferson University, Johns Hopkins University, the Cleveland Clinic Foundation, or Memorial Sloan Kettering Cancer Center. Each African American patient was matched to one or two White patients, based on their Cancer of the Prostate Risk Assessment (CAPRA) postsurgical scores. CAPRA assesses the risk that a cancer will recur or progress after treatment, and it is also predictive of mortality. The study found that some of the 20 tumor genes that predicted aggressiveness were the same for the two groups. But at least four of the genes, and possibly as many as six, were predictive of aggressive disease in African American men but not in White men. “This data provides some early evidence that biomarkers could help us make more tailored treatment decisions in African American men,” Dr. Rebbeck said. In addition to possibly helping with treatment decisions, knowing which genes are associated with prostate cancer aggressiveness can help researchers understand why some tumors are very aggressive in their growth and spread and why others are not. The next step is to confirm the differences in biomarkers by replicating the study with a much larger number of African American men. If a large study confirms the result, researchers would then want to demonstrate that the information could be used to tailor treatments for prostate cancer. Another study, already underway, is to screen the entire tumor genome to discover whether there are more biomarkers of aggressive and non-aggressive tumors in White and African American men. Dr. Rebbeck is also involved with a study among men in Africa and men of African descent in the Caribbean. There is some limited data to indicate that prostate cancer rates are higher in Africa than in other parts of the world. Grant Number: 5P60MD006900-04; PIs John Holmes, Ph.D. and Timothy Rebbeck, Ph.D.